This is literally the worst scene I have seen in a movie in I don’t know how long, and I don’t mean the content of it, I mean the production of it. First off, there was some pretty lousy CGI in the movie (alongside some pretty decent CGI, like Smaug, for instance, looked good), and the crappiest of it was in this scene. Whether it was the orcs or the way the dwarves were flying down the river in the barrels, it was painfully obvious at times that these things were computer generated. And considering that I have watched the Lord of the Rings trilogy and the first Hobbit movie without ever feeling this way, I was stunned by this. Secondly, apparently they decided to incorporate what were probably GoPro cameras on the actors or barrels or stunt doubles or fill-in props or whatever, to get these water shots that were designed to make you feel as if you were in the water. But these weren’t the high-quality shots you see in the rest of the movie; they looked more like a home movie or a documentary. That’s fine for certain movies, but for for this movie, that particular style was so inconsistent with what is in the rest of the movie it completely took me out of it. Pick a style and stick with it, Peter Jackson. The Desolation of Smaug ends at the crisis point, right before the climax. THERE IS NO CLIMAX IN THIS 2 HOUR AND 41 MINUTE MOVIE. That’s a serious problem. It’s also called the DESOLATION of Smaug. Desolation means “complete destruction.” At the end of the movie Smuag is FLYING AWAY. HE IS NOT DESOLATED IN THE SLIGHTEST. At the end of the movie I felt completely duped. What was the point of everything I just saw? To wait another 11 months for the third movie for Smaug to actually be desolated before they start the next part of the story (because there’s more to be told after Smaug, so it’s not like that had to be dragged out)? Seriously?! Now that I’ve ranted, what did I like about the movie? It took itself more seriously than the first one I thought, my two rants aside. I appreciated that, and I think it will hold my attention better for a second viewing than the first Hobbit movie did when I watched it a second time. I liked the addition of Tauriel, though her main purpose seemed to be to insert estrogen in the movie and create an unnecessary love triangle (between a dwarf and Legolas, the latter who was a bit shoehorned into the story). 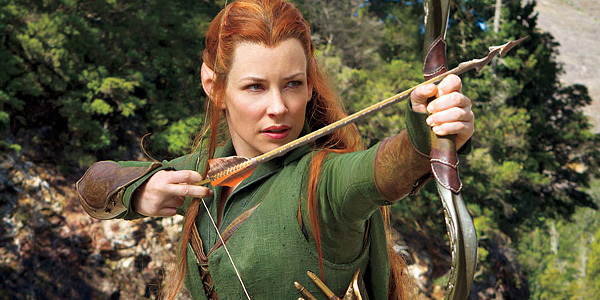 She’s like an elf version of Katniss. I continued to like Kili, though again, there was some added story line there for drama, and I liked Bard quite a bit. I’ll be interested in seeing what he does in the third movie (since I’ve forgotten from the book, not that following the book is exactly Peter Jackson’s forte). And of course, Benedict Cumberbatch as a sinister dragon was great. Overall, the movie was entertaining but my two rants really drag the overall score of the movie down for me. I give it 3.5 stars, though I feel like I’m being a little nice to be giving it that. What are your thoughts on The Desolation of Smaug? Did you feel duped too? I dunno. Maybe it’s just that I tend to notice CGI all the time, including the old ones, that the barrel floating didn’t really bother me. Interesting, that. As far as where the movie ended, I loved it. I thought the “What have we done?” was brilliant. It wasn’t any worse than the ending of The Two Towers novel, really. Sometimes I just appreciate the artistry of trolling millions of people with an abrupt cliffhanger, lol. One quick note, “The Desolation of Smaug” does not refer to Smaug being desolated, but rather to the setting of the ending section, the ruined city, the town rising from the rubble and whatnot. It is more “the desolation caused by Smaug.” So the ruins are the Desolation of Smaug that the title refers to. Also, Legolas didn’t bother me at all (I know, crazy, right? ), simply on account of being Thranduil’s son. I dunno. Like it a lot better than the first for sure. I just like to feel like I’ve been given a complete story with a movie. If this was a TV episode, I would have thought it was a great ending. But it was just frustrating for me as a moviegoer. I was really enjoying the movie and wondering how it was all going to wrap up and then wham… It’s over! That makes sense; thanks for clarifying on that. He didn’t bother me too much, but a little. He seemed different… But I guess when you live that long. I don’t know. It was OK, but felt a little off to me. I was a bit irked by the whole addition of Tauriel and insertion of Legolas into the movie as well, but at least the acting done by Evangeline Lilly was quality. When I first realized she was going to be playing an elf in this movie, I was pretty nervous, but she did a fantastic job. 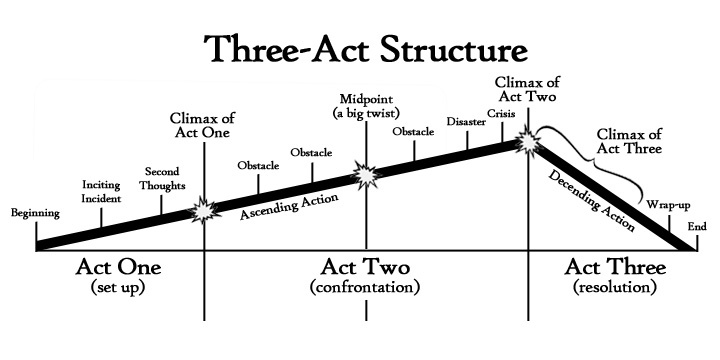 Oh yeah, and the whole part about Act 3 being missing and Smaug not actually being desolated. Yeah, super stupid and irritating! My husband, who reread the book last year, also mentioned how different the barrel scene had been in the book. It was quite dramatic. I thought she did a great job too. I think I liked her portrayal of the character more than the writing of the character. Weirdly, I noticed that certain parts of the barrel scene looked CGI but since I already knew so much of it was CGI it didn’t bother me. Like the ridiculous point where the dwarf is bouncing around everywhere and off on land and it was so dumb and like something out of a video game more than a movie. But so much of the movie is CGI and had so many more silly elements than LotR that I didn’t think of it as showing its seams. And I knew Peter Jackson dragged the entire book out beyond the point of ridiculous so it ended pretty much where I expected it to. Because, despite the title, if we’d seen the actual desolation of Smaug there wouldn’t be any battle/action scenes in the third movie. There’s a lot of story there, but I don’t remember any action. It has also been a lot of years since I read the book so I could be wrong about that. I hated the love triangle, though. It was really, really dumb. And I hated what Jackson did with the magic. Tolkien always had a very subtle sort of magic so for Gandalf to be running around doing spells felt like he was written more as Dubmledore than Gandalf. And Tauriel (who I liked very much in general) working with King’s foil was horrible. Horrible. Beyond the fact that it was the same sort of base, practical magic you find in Harry Potter and not anything you find in Tolkien’s work, it’s called King’s foil because it has power in the hands of a king…. Despite the fact that I went to school for production, I can generally watch movies with a child-like naivety, as if unaware of CGI and what it takes to make the movie as it is. But I couldn’t do it with this one. My husband, who reread the book last year, mentioned that there is still some sort of battle, so I think there is still plenty of action. The spells did seem to be a little off within this world. I do agree that I mostly enjoyed this one more than the first, but the ending just really killed it for me. I’ve been putting off my review of this movie to the point where I don’t know if I’m going to review it. I had some serious issues with it, as well. While LotR remained pretty faithful to the source material, I feel like The Hobbit is taking some serious liberities. I just taught The Hobbit in the fall, and my hubby’s a huge fanboy, so the entire time we were both, like, that didn’t happen (not during the movie, of course, during our post-movie conversation about it). The barrel scene was horrible. 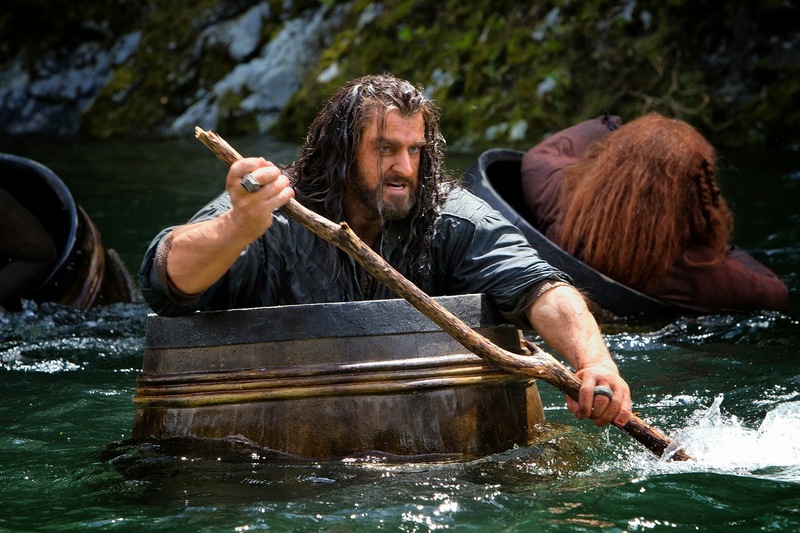 Not only are the dwarves completely sealed in the barrels in the books, they aren’t getting chased by orcs. Even if they were, the sequence was so awkward, like you mentioned. The CGI didn’t even look believable at all as the elves and orcs flew around and were balancing on barrels, etc. The movie most definitely could have ended with Smaug’s death as, like you pointed out, there is still all kinds of things that happen after he dies–like the battle of five armies–that you know is going to be a super dragged out action sequence in the third film. Alright, seriously, I could just go on and on in this comment, so I guess I should just write my own review…sometime. Great review! Sorry that your frustrations were probably greater than mine, having more recently read the material and being more acquainted with it, but I’m also glad I’m not alone! If you get around to that review, I’ll definitely be interested in reading it!